The guidelines developed by the British Fertility Society were published in the academic journal, Human Fertility. In coming to their conclusions, the society looked at many published studies called randomised studies. These are considered pretty high quality as far as medical clinical trials go. The reviewers looked at how effective acupuncture and Chinese herbs were at enhancing fertility when they were taken just before fertility treatment took place. Unfortunately, there was no evidence from the clinical trials that using these alternative treatments could make any difference to a couple’s chance of conceiving. The type of study cited by the British Fertility Society is known as a meta-analysis. This means it looks at many different studies rather than just one. In this case, there were a total of only 14 clinical trials that had ever been done to investigate how couples undergoing fertility treatment fared if they had acupuncture, which is quite a low number. The trials that had been done also looked at acupuncture performed at different times – when the egg was removed, when the embryo was transferred and 2-3 days later - so it was hard to compare them directly. Nevertheless, the effect of this popular alternative and complementary therapy was examined in terms of the subsequent birth rate, pregnancy rate and the rate at which miscarriages occurred. The data from the study groups (the couples who had the acupuncture) was compared to control couples who hadn’t had acupuncture. No significant differences were noted in any of the end points, so the British Fertility Society was forced to conclude that there was no active benefit for couples. Neither was there any harm and the guidelines issued make this very clear. If you want to have acupuncture when you are undergoing fertility treatment, it is sensible not to put great hopes in it, but you can be confident that it won't harm your health or actually reduce your fertility in any way. The use of herbs for couples who are trying to get pregnant is rather more controversial. Many herbs have been suggested as being important in conception and pregnancy and fertility, but the production of herbs is not very regulated. As a result, they can be variable in their positive effects and they can have serious side effects. Many people think that ‘natural products’ are completely safe but this is far from true. The active compounds in herbs and plants can be extremely potent and can have as many adverse effects as synthetic compound drugs. It is especially important to tell a GP if you are taking herbal remedies, as these may interfere or affect conventional drugs in ways that we don’t fully understand. 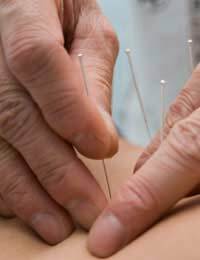 Although the guidelines issued by the British Fertility Society are not very positive as far as alternative medicine goes, they do point out that one of the main problems is the lack of consistency in the design of the studies that have been done to date on acupuncture, Chinese medicine and assisted fertility. They also make the very good point that the impact of the placebo effect is not really understood and needs further study. There is growing evidence that just the time spent with a couple, or with the woman only as she is treated for fertility problems may be beneficial in inducing a relaxed state that can promote conception and pregnancy. The advantage of this personal contact and reassurance is certainly worth investigating further for its potential to help childless couples. Egg Donation: Can Anyone Do It? What is the World Egg Bank? Why Does Women's Fertility Decline With Age? Freezing Sperm Fast: Why Does it Make a Difference?